Below you fill find all funeral homes and cemeteries in or near Chowchilla. Suburbs of Chowchilla: Fairmead, Sharon. Chowchilla is also known as: Madera County / Chowchilla city. Zip codes in the city: 93610. Some of the notable people born here have been: Ronald D. Moore (screenwriter and television producer). Chowchilla is a city in Madera County, California. The city's population was 18,720 at the 2010 United States Census, up from 11,127 at the 2000 U.S. Census. 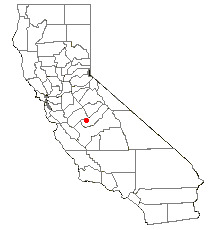 Chowchilla is located 15 miles (24 km) northwest of Madera, at an elevation of 240 feet (73 m). It is a principal city of the Madera–Chowchilla Metropolitan Statistical Area.The city is the location of two California Department of Corrections and Rehabilitation facilities, the Central California Women's Facility and Valley State Prison. It was reported by Register Guard on February 8th, 2017 that Lucille Leland (Smith) passed away in Aga, Oregon. Ms. Leland was 91 years old and was born in Chowchilla, CA. Send flowers to share your condolences and honor Lucille's life. It was revealed on October 6th, 2016 that Donald Forgey passed on in Sunnyside, Washington. Forgey was 87 years old and was born in Chowchilla, CA. Send flowers to express your sorrow and honor Donald's life. It was written by Orange County Register on June 18th, 2015 that Virginia M Kelley passed away in Chowchilla, California. Kelley was 76 years old and was born in Wakwfield, MA. Send flowers to express your sorrow and honor Virginia M's life. It was noted by Modesto Bee on June 2nd, 2015 that Farrell Otto Packer passed on in Chowchilla, California. Packer was 79 years old and was born in Prague, OK. Send flowers to express your sympathy and honor Farrell Otto's life. It was reported by Chino Champion on March 28th, 2015 that John Maynard Troost passed away in Chowchilla, California. Troost was 72 years old. Send flowers to share your condolences and honor John Maynard's life. It was revealed by Visalia Times-Delta on January 20th, 2015 that Denver Ray Morrison passed on in Chowchilla, California. Morrison was 69 years old. Send flowers to share your condolences and honor Denver Ray's life. It was written by Walla Walla Union-Bulletin on October 9th, 2014 that Glenn Maruice Forgey perished in Walla Walla, Washington. Forgey was 88 years old and was born in Chowchilla, CA. Send flowers to express your sorrow and honor Glenn Maruice's life. It was written by The Californian on September 16th, 2014 that Merle Vivian Lindsey (Moody) passed away in Chowchilla, California. Ms. Lindsey was 85 years old. Send flowers to express your sympathy and honor Merle Vivian's life. It was disclosed by The Californian on September 16th, 2014 that Merle Vivian Lindsey (Moody) passed on in Chowchilla, California. Ms. Lindsey was 85 years old. Send flowers to express your sorrow and honor Merle Vivian's life. It was reported by Modesto Bee on April 18th, 2014 that Howard Alvin Sr Moffet passed on in Chowchilla, California. Moffet was 89 years old and was born in St Joseph, MO. Send flowers to express your sympathy and honor Howard Alvin Sr's life. The population was 11,127 at the 2000 census. Chowchilla continues to grow as there are new housing developments. (This number does not include inmates at Central California Women's Facility and Valley State Prison for Women, which are located just outside of the city.) As of 2009, the population is about 18,000 (this includes the inmates at the Central California Women's Facility and State Prison for Women). Chowchilla is a city in Madera County, California County, California, United States. It is a principal city of the Madera, California Metropolitan Statistical Area. Exeter, CA 93221. Arrangements: Salser & Dillard Funeral Chapel in Visalia ... SHIRLEY -- Hedda Hope Shirley of Chowchilla died Wednesday. She was a factory worker for 25 years. Private services. Arrangements: Smith Manor Grace Chapel in Madera. Listing all funeral homes in Chowchilla, California so you can easily send flowers to any location (same day delivery) or find any funeral service. We work with local florists and flower shops to offer same day delivery. You will find budget sympathy flowers in Chowchilla here. Our funeral flowers are cheap in price but not in value.